The Amigo Evolution Rug has also been designed in colours to deter insects for optimum effectiveness. Insects respond differently to different colours, and many insects cannot perceive the colour orange or aqua because their vision centres on different sections of the electromagnetic spectrum. This is a natural deterrent in itself. 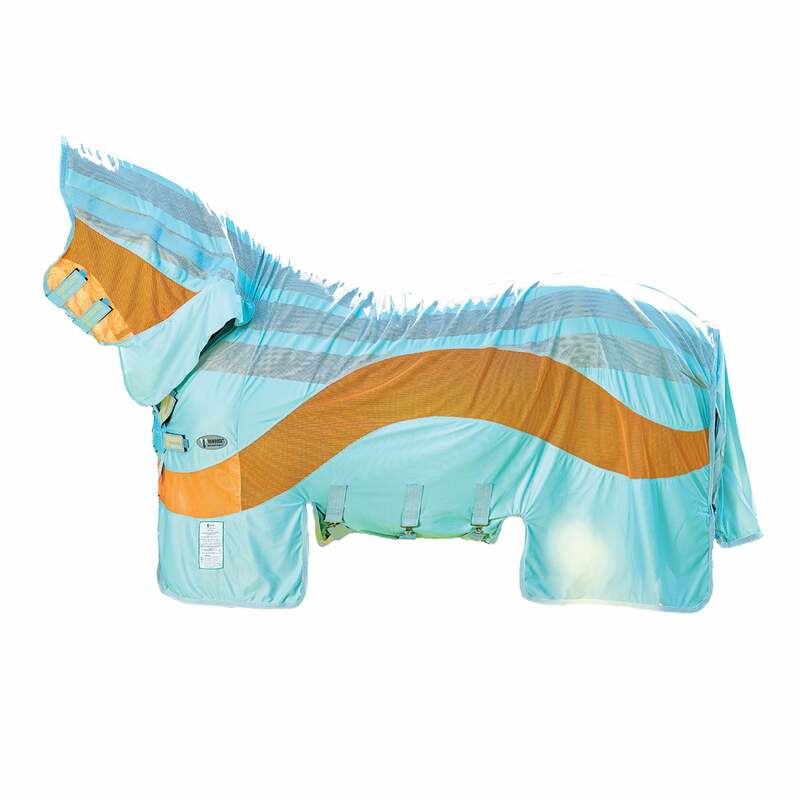 The colour technology in this fly sheet, paired with Vamoose technology is the forefront of equine fly repellent technology. Featuring a disc front closure that's lightweight and slim to avoid bulk around the neck, as well as being incredibly easy to fasten. A super sized tail flap, deep belly with three surcingles and an integrated neck all improve coverage of the rug. Finished off with leg arches for comfort, shoulder and neck lining and a fillet string.